Disney. 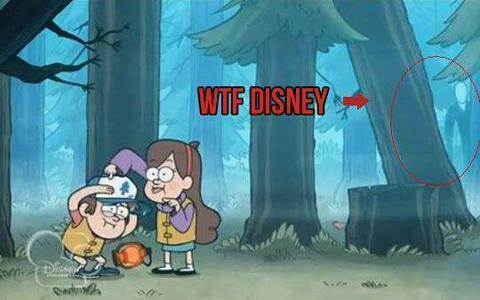 Slenderman made his appearance on Gravity Falls. Wallpaper and background images in the Slender Man club tagged: slender man slenderman slender original children creepy. This Slender Man photo might contain segno, manifesto, testo, lavagna, and poster. really? why, of all companies, WHY DISNEY?? ?